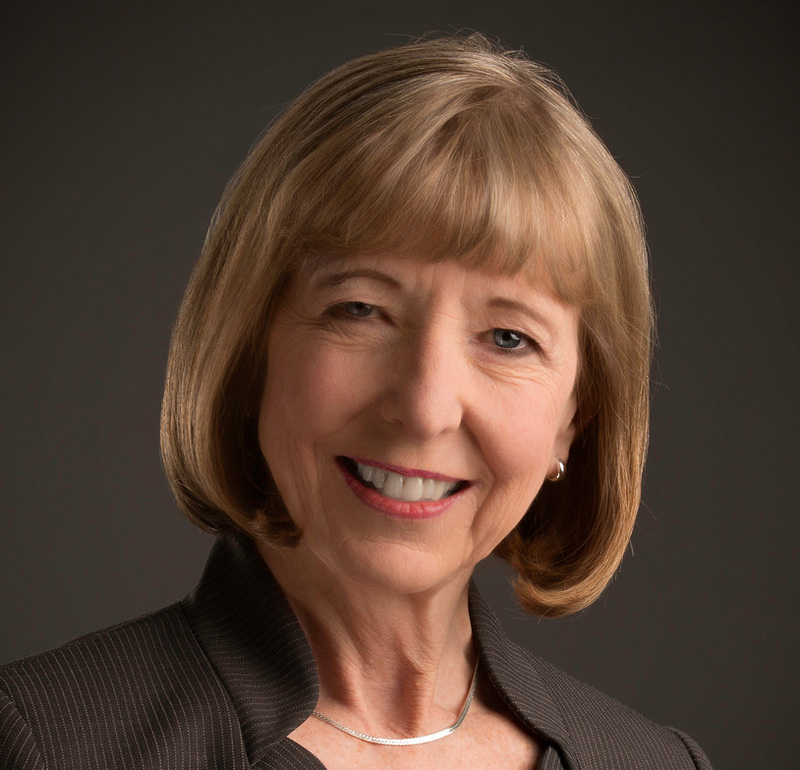 Dr. Candace S. Johnson joined the faculty of Roswell Park Comprehensive Cancer Center in February 2002, and is currently President & CEO, the Wallace Family Chair in Translational Research, and Professor of Oncology. Prior to her appointment as Roswell Park President & CEO in 2015, Dr. Johnson was Deputy Director of the Institute and also Chair of the Department of Pharmacology and Therapeutics for more than a decade. Her major responsibilities were to facilitate the seamless bench-to-bedside development and delivery of promising new cancer therapies involving various types of cancer. From 1997-2002, Dr. Johnson served as Deputy Director of Basic Research at the University of Pittsburgh Cancer Institute, and Professor of Pharmacology and Medicine at the University of Pittsburgh School of Medicine. Dr. Johnson earned her doctoral degree in Immunology from Ohio State University, Columbus, in 1977. From 1977 to 1981, she completed research and postdoctoral fellowships in Immunology/Cell Biology at the Michigan Cancer Foundation, Detroit. Dr. Johnson’s research interests include translational research to facilitate the efficient application of promising laboratory findings in clinical studies; preclinical design and development of more effective therapeutic approaches to cancer using highly characterized tumor models; and mechanisms of vitamin D mediated antiproliferative effects either alone or in combination with other cytotoxic agents. Dr. Johnson is a member of the National Institutes of Health Reviewers Reserve and has served as a member of the National Cancer Institute Review Group Subcommittee A Cancer Center (Parent Committee) and of the Experimental Therapeutics Study Section (2) for 2 terms. She also is a member of many professional and scientific societies, Senior Editor of Molecular Cancer Therapeutics, Associate Editor of Molecular and Cellular Differentiation, Oncology, and Molecular Pharmacology, and a member of the editorial board of Oncology Reports and Molecular Pharmacology. Dr. Johnson has authored or coauthored nearly 200 journal publications, book chapters and abstracts, and has been issued patents on the "Use of Pretreatment Chemicals to Enhance Efficacy of Cytotoxic Agents" and “Endothelial Specific Targeting.” Additionally, she was the recipient of the 2013 Dr. Thomas B. Tomasi Hope Award; the 2013 Medaille College Excellence in Leadership Award; the 2010 University of Pittsburgh Innovator Award; and in 2010 was elected as a Fellow of the American Association for Advancement of Science. Studies are focused on the pre-clinical development and design of more effective therapeutic approaches to cancer using mouse tumor model systems. Project areas include the mechanisms of vitamin D-mediated anti-proliferative effects either alone or in combination with conventional cytotoxic agents; the effect of vitamin D on cell cycle control and apoptosis in prostate model systems; the effect of glucocorticoids on vitamin D-mediated anti-tumor and hypercalcemic effects through the vitamin D receptor (VDR); the isolation and characterization of tumor-derived endothelial cells with the potential to target for therapeutic intervention; and elucidating the mechanisms involved in the differential response of tumor-derived endothelial cells to vitamin D and steroids with therapeutic implications. Dr. Johnson has a wide variety of highly characterized and readily available murine syngeneic and human xenograft tumor models to evaluate therapeutic efficacy as well as to examine potential mechanisms of action. In addition, Dr. Johnson provides the basic science interface to a number of clinical studies based on these studies in collaboration with Dr. Donald L. Trump, former CEO and President, Roswell Park Cancer Institute. 1,25 dihydroxycholecalciferol (vitamin D or calcitriol), a central factor in bone and mineral metabolism, is a potent antiproliferative agent in a wide variety of malignant cell types. We have demonstrated that calcitriol has significant antitumor activity in vitro and in vivo in murine squamous cell carcinoma (SCC), human xenograft prostatic adenocarcinoma (PC-3) and rat metastatic prostatic adenocarcinoma Dunning (MLL) model systems. Calcitriol induces G0/G1 arrest, modulates p27Kipl and p21Waf1/Cipl, the cyclin dependent kinase (cdk) inhibitors implicated in G1 arrest. Calcitriol also induces cleavage of caspase 3, PARP and the growth-promoting/pro-survival signaling molecule mitogen-activated protein kinase (MEK) in a caspase-dependent manner. In association with this effect, full length MEK and phospho-Erk (P-Erk) are lost. The phosphorylation and expression of Akt, a kinase regulating a second cell survival pathway, is also inhibited after treatment with calcitriol. In contrast to changes that occur during cytotoxic drug induced apoptosis, the pro-apoptotic signaling molecule MEKK-1 is significantly upregulated by calcitriol. We have demonstrated that dexamethasone (dex) potentiates the antitumor effect of calcitriol and decreases calcitriol-induced hypercalcemia. Both in vitro and in vivo, dex significantly increases vitamin D receptor (VDR) ligand binding in the tumor while decreasing binding in intestinal mucosa, the site of calcium absorption. Phospho-Erk (P-Erk) and phospho-Akt (P-Akt) were also significantly decreased with calcitriol/dex, as compared to either agent alone. In a phase II trial in androgen independent prostate cancer (AIPC) using high dose (12 mg/day QD x3, weekly) oral calcitriol and dex (4 mg QD x4, weekly), we saw a 50% reduction in prostate specific antigen (PSA) in 31% of the patients and no hypercalcemia. These studies suggest that glucocorticoids may differentially modulate calcitriol-mediated effects; we believe this has important therapeutic implications. Calcitriol significantly enhances the in vitro and in vivo antitumor efficacy of the platinum analogues, cisplatin and carboplatin as well as the taxanes, paclitaxel and docetaxel. Enhancement of drug-mediated apoptosis by calcitriol is associated with an increase in PARP-, MEK- and caspase-cleavage and MEKK-1 with a decrease in P-Erk and P-Akt. In addition, the expression of the p53 homolog, p73, is strongly induced by calcitriol and p73 can sensitize tumor cells to the cytotoxic effects of platinum and taxanes. Based on these pre-clinical data, we performed two phase I clinical trials of calcitriol with either carboplatin or paclitaxel and administered higher doses of calcitriol than previously reported without toxicity. From the pharmacokinetic (pk) data of oral administration, the serum calcitriol AUC was not proportional to calcitriol dose suggesting a decrease in bioavailability. In addition, calcitriol increases the expression of the epidermal growth factor receptor (EGFR). When calcitriol is combined with the EGFR receptor tyrosine kinase inhibitor, ZD 1839 (‘Iressa’), a significant enhancement of antitumor activity is observed in vitro and in vivo and this activity is associated with a significant decrease in P-Erk and P-Akt. Therefore, calcitriol has significant pro-apoptotic effects and can synergize with other cytotoxic modalities that potentially share the same targets, P-Akt, P-Erk, MEKK-1 and/or p73. Based on this data, we continue to examine the potential efficacy and mechanisms of calcitriol in combination with taxanes or EGFR tyrosine kinase inhibitors both clinically and pre-clinically. Ma Y, Hu Q, Luo W, Pratt RN, Glenn ST, Liu S, Trump DL, Johnson CS.1α,25(OH)2D3 differentially regulates miRNA expression in human bladder cancer cells. J Steroid Biochem Mol Biol. 2014 Sep 26. [Epub ahead of print] Review. PMID: 25263658 (PubMed – as supplied by publisher). Shen J, Hu Q, Schrauder M, Yan L, Wang D, Medico L, Guy Y, Yao S, Zhu Q, Liu B, Qin M, Beckmann MW, Fasching PA, Strick R, Johnson CS, Ambrosone CB, Zhao H, Liu S. Circulating miR-148b and miR-133a as biomarkers for breast cancer detection. Oncotarget 2014; 5(14):5284-5294. PMCID: PMC4170614. Ma Y, Trump DL, Johnson CS. Vitamin D and miRNAs in cancer. Curr Gene Ther. 2014; 14(4):269-75. PMID: 25039615 (PubMed — in process). Ajibade AA, Kirk JS, Karasik E, Gillard B, Moser MT, Johnson CS, Trump DL, Foster BA. Early growth inhibition is followed by increased metastatic disease with vitamin D (calcitriol) treatment in the TRAMP model of prostate cancer. PLos One 2014; 9(2):e89555. PMCID: PMC3935875. Singh P, Preus L, Qiang H, Yan L, Long M, Morrison C, Nesline M, Koochekpour S, Johnson C, Kohli M, Liu S, Trump D, Sucheston-Campbell L, Campbell M. Serum microRNA expression patterns that predict early treatment failure in prostate cancer patients. Oncotarget 2014; 5(3):824-840. PMCID: PMC3996656. Morrison CD, Liu P, Woloszynska-Read A, Zhang J, Luo W, Qin M, Bshara W, Conroy JM, Sabatini L, Vedell P, Xiong D, Liu S, Wang J, Shen H, Li Y, Omilian AR, Hill A, Head K, Guru K, Kunnev D, Leach R, Eng K, Darlak C, Hoeflich C, Veeranki S, Glenn S, You M, Pruitt S, Johnson CS, Trump DL. Whole-genome sequencing identifies genomic heterogeneity at a nucleotide and chromosomal level in bladder cancer. PNAS 2014; 111(6):E672-681. PMCID: PMC3926024. Yao S, Hong CC, McCann SE, Zirpoli G, Quan L, Gong Z, Johnson CS, Trump DL, Ambrosone CB. Combined effect of circulating levels of 25-hydroxyvitamin D and Th1 and Th2 cytokines on breast cancer estrogen receptor status. Cancers (Basel) 2014; 6(1):211-225. PMCID: PMC3980607. Lee HJH, Muindi JR, Tan W, Hu Q, Wang D, Liu S, Wilding GE, Ford LA, Sait SNJ, Block AW, Adjei AA, Barcos M, Griffiths EA, Thompson JE, Wang ES, Johnson CS, Trump DL, Wetzler M. Low 25(OH) Vitamin D3 levels are associated with adverse outcome in newly-diagnosed intensively-treated adult acute myeloid leukemia patients. Cancer 2014; 120(4):521-529. PMID:24166051. Shen H, Morrison CD, Zhang J, Underwood W 3rd, Yang N, Frangou C, Eng K, Head K, Bollag RJ, Kavuri SK, Rojiani AM, Li Y, Yan L, Hill A, Woloszynska-Read A, Wang J, Liu S, Trump DL, Johnson CS. 6p22.3 amplification as a biomarker and potential therapeutic target of advanced stage bladder cancer. Oncotarget. 2013 Nov;4(11):2124-34. PMCID: PMC3875774. Liu B, Morrison CD, Johnson CS, Trump DL, Qin M, Conroy JC, Wang J, Liu S. Computational methods for detecting copy number variations in cancer genome using next generation sequencing: principles and challenges. Oncotarget 2013; 4(11):1868-1881. PMCID: PMC3875755. Luo W, Hu Q, Wang D, Deeb KK, Ma Y, Morrison CD, Liu S, Johnson CS, Trump DL. Isolation and genome-wide expression and methylation characterization of CD31+ cells from normal and malignant human prostate tissue. Oncotarget 2013; 4(9):1472-1483. PMCID: PMC3824530. Ramnath N, Daignault-Newton S, Dy GK, Muindi JR, Adjei A, Elingrod VL, Kalemkerian GP, Cease KB, Stella PJ, Brenner DE, Troeschel S, Johnson CS, Trump DL. A phase I/II pharmacokinetic and pharmacogenomic study of calcitriol in combination with cisplatin and docetaxel in advanced non-small-cell lung cancer. Cancer Chemother Pharmacol 2013; 71(5):1173-1182. PMCID: PMC3637851. Godoy AS, Chung I, Montecinos VP, Buttyan R, Johnson CS, Smith GJ. Role of androgen and vitamin-D receptors in endothelial cells from benign and malignant human prostate. Am J Physiol Endocrinol Metab 2013; 304(11):E1131-1139. PMCID: PMC4116355. Muindi JR, Adjei AA, Wu ZR, Olson I, Huang H, Groman A, Tian L, Singh PK, Sucheston LE, Johnson CS, Trump DL, Fakih MG. Serum vitamin D metabolites in colorectal cancer patients receiving cholecalciferol supplementation: correlation with polymorphisms in the vitamin D genes. Horm Cancer 2013; 4(4):242–250. PMCID: PMC3689467. Luo W, Yu WD, Ma Y, Chernov M, Trump DL, Johnson CS. Inhibition of protein kinase CK2 reduces CYP24A1 expression and enhances 1,25-dihydroxyvitamin D3 anti-tumor activity in human prostate cancer cells. Cancer Res 2013; 73(7):2289-2297. PMCID: PMC3618587. Ma Y, Yu WD, Hidalgo AA, Luo W, Delansorne R, Johnson CS, Trump DL. Inecalcitol, an analog of 1,25D 3, displays enhanced antitumor activity through the induction of apoptosis in a squamous cell carcinoma model system. Cell Cycle 2013; 12(5):743-752. PMCID: PMC3610722. Yan L, Ma C, Wang D, Hu Q, Qin M, Conroy JM, Sucheston LE, Ambrosone CB, Johnson CS, Wang J, Liu S. OSAT: a tool for sample-to-batch allocations in genomics experiments. BMC Genomics 2012; 13(1):689. PMCID: PMC3548766. Luo W, Hershberger PA, Trump DL, Johnson CS. 24-Hydroxylase in Cancer: Impact on vitamin D-based anticancer therapeutics. J Steroid Biochem Mol Biol 2013; 136:252-257. PMCID: PMC3686893. Ma Y, Yu W-D, Su B, Seshadri M, Luo W, Trump DL, Johnson CS. Regulation of motility, invasion and metastatic potential of squamous cell carcinoma by 1α,25-dihydroxycholecalciferol. Cancer 2013; 119(3):563-574. PMCID: PMC3485450. Krishnan AV, Trump DL, Johnson CS, Feldman D. The role of vitamin D in cancer prevention and treatment. Rheum Dis Clin North Am 2012; 38(1):161-178. PMID: 22525850. Below are links to Pub Med for Dr. Johnson’s publications while at Roswell Park Cancer Institute (2002 – present) and earlier. Lung Cancer Genomics: Hope or Hype?